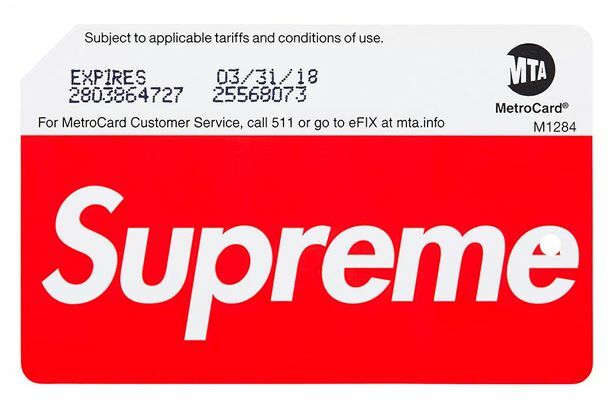 The Supreme-Branded Metrocard Is HereHow hypebeasts ride the train. The MetroCard Won’t Go the Way of the Subway Token Quite YetWe could be swiping until 2023. How to Save $8 on Your Next MetroCardSubway fares increase this weekend. Here’s how to save money. MetroCard Sticking Around for Up to 5 More YearsTouchless entry still a futuristic vision. Sandy Metrocard Refunds Too Complicated for MTASome things are just too tough. MTA Proposes $1 ‘Green Fee’ on Each New MetroCard PurchaseThe agency says it will generate $20 million in revenue annually. Mayor Bloomberg Has Also Never Had Any Trouble Swiping a MetroCardThere’s nothing wrong with the subway, ever! This Week in Moronic Protests: The Free Swipe MovementHow, exactly, does this “stick it to the man”? Your Unlimited MetroCard Might Become Less UnlimitedThe MTA is considering a cap on how many rides you can take on an “unlimited” card. Government Reaches Deal to Keep Student MTA Fares FreeAbout 585,000 NYC students currently get free or discounted MetroCards. City Students Sacrifice Afternoon of School for ProtestThey want their free MetroCards. New ‘Smart Card’ System Could Spell Doom for MetroCardMTA launching six-month pilot program on Monday. MTA Could Turn Swiping Your MetroCard Into a Fun Game!Every other fare could be free! Scamming MetroCard Machines Is More Profitable Than You Ever SuspectedA trio of petty thieves is arrested for scamming free MetroCards and LIRR tickets from a malfunctioning machine and making over $800,000.